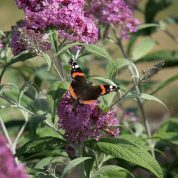 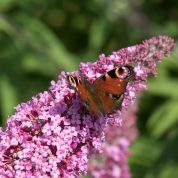 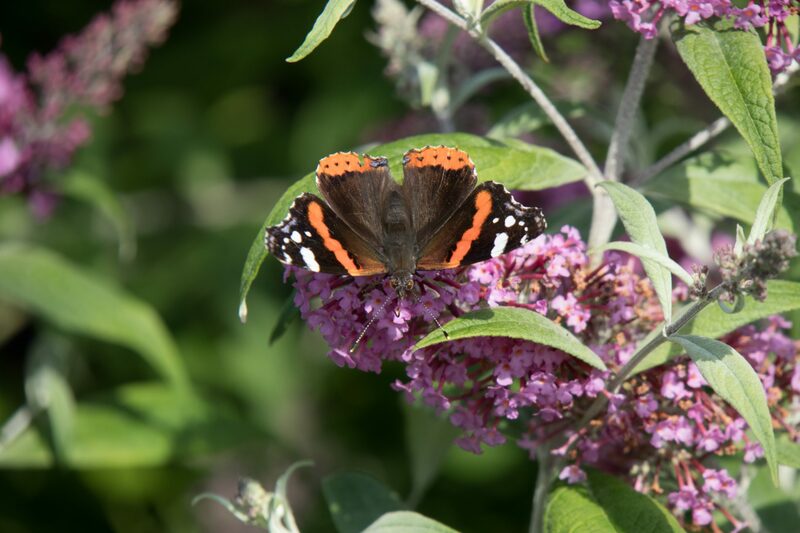 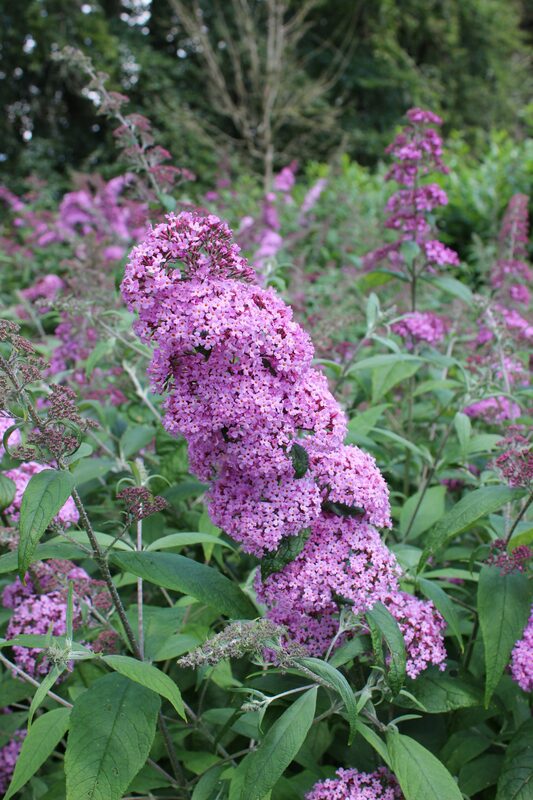 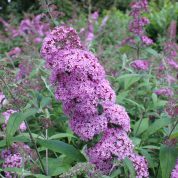 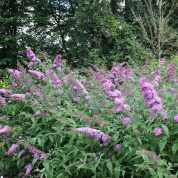 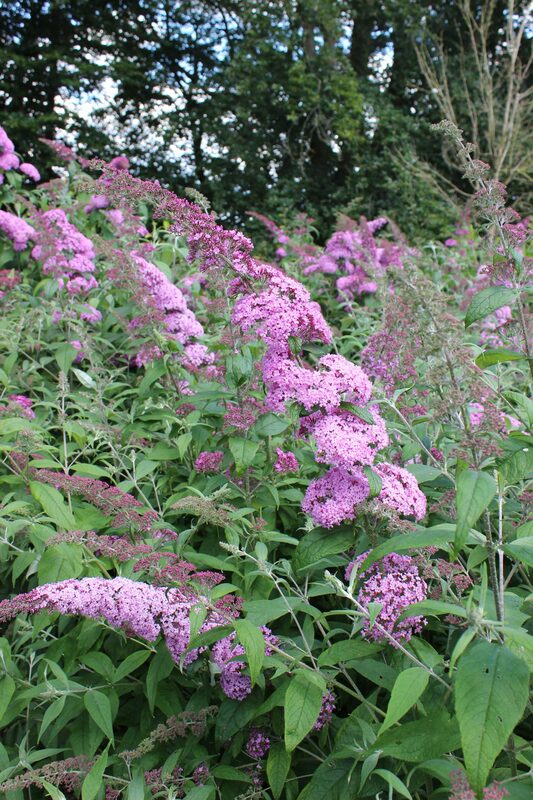 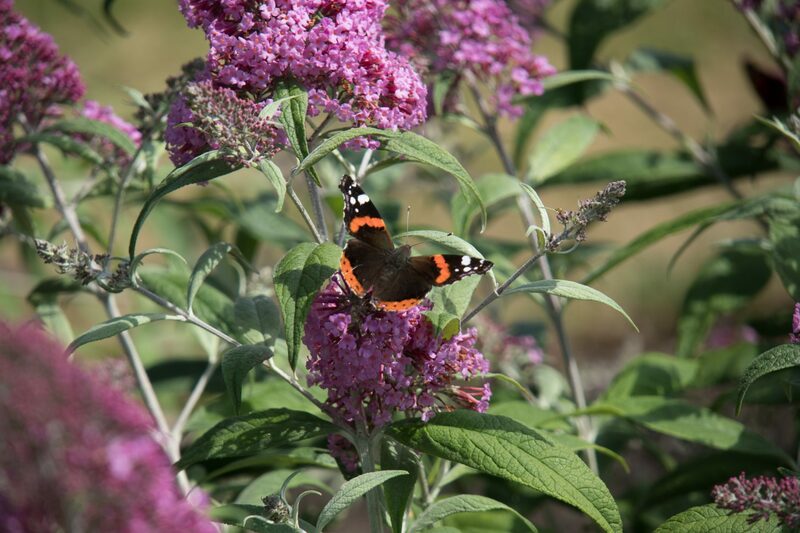 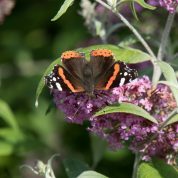 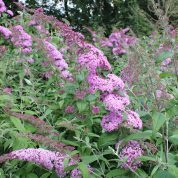 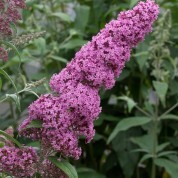 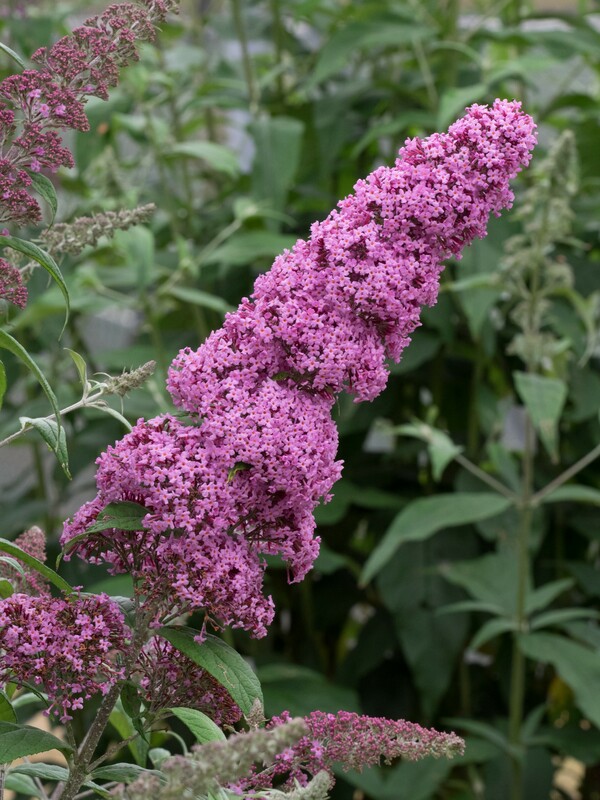 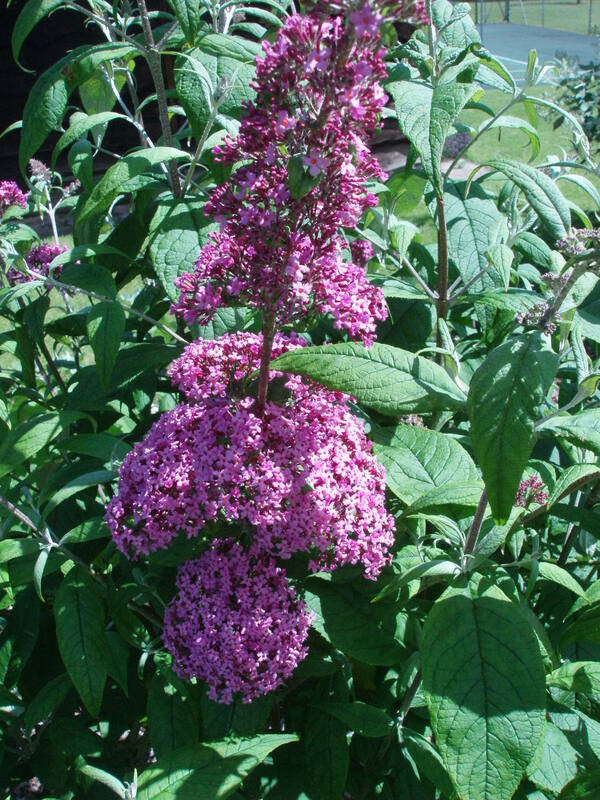 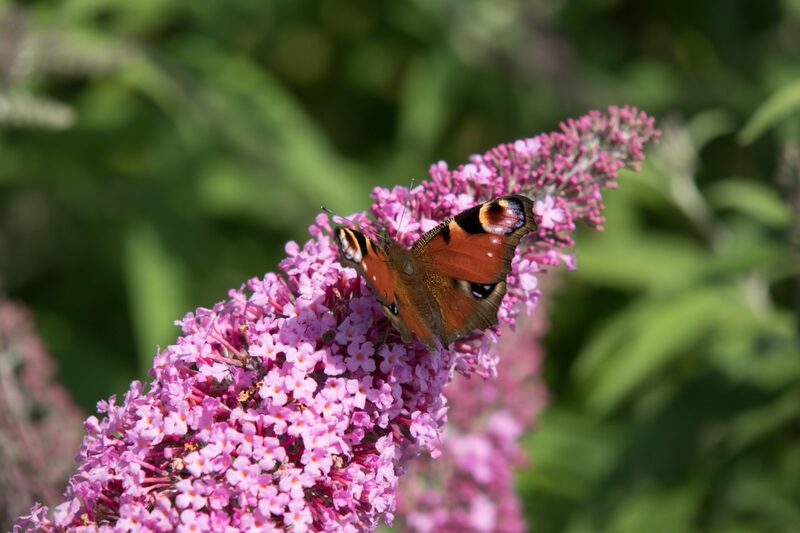 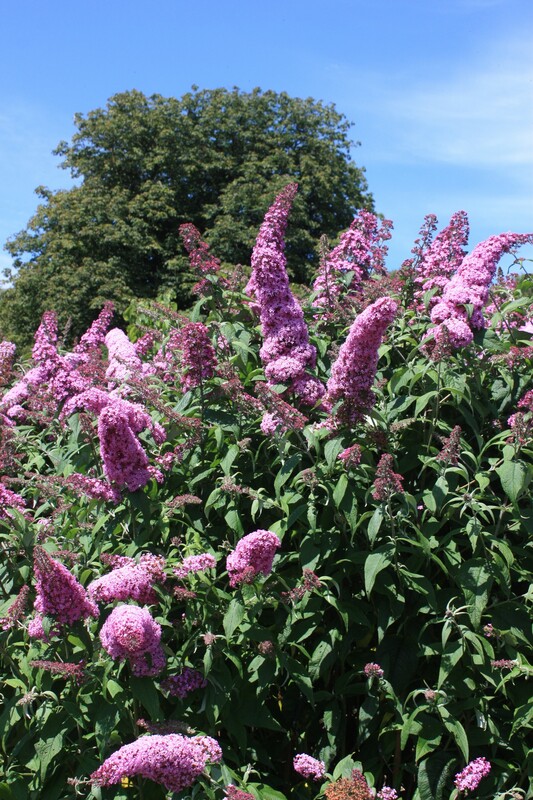 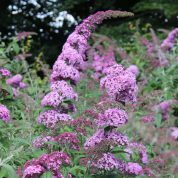 Buddleja ‘Pink Delight’ produces dense spikes of pink honey scented flowers throughout the summer which attract butterflies. 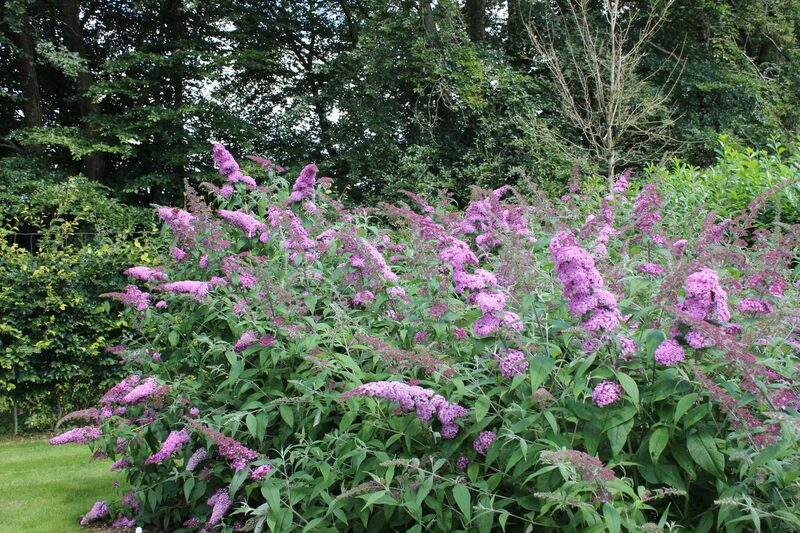 Buddleja ‘Pink Delight’ is a hybrid raised by the Horticultural Research Institute in Boskoop, The Netherlands in 1986 from a cross of B. davidii ‘Fascination’ × B. davidii var. 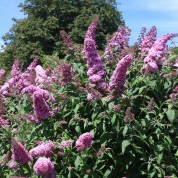 nanhoensis ‘Alba’ × B. 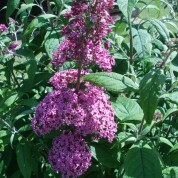 ‘West Hill’. 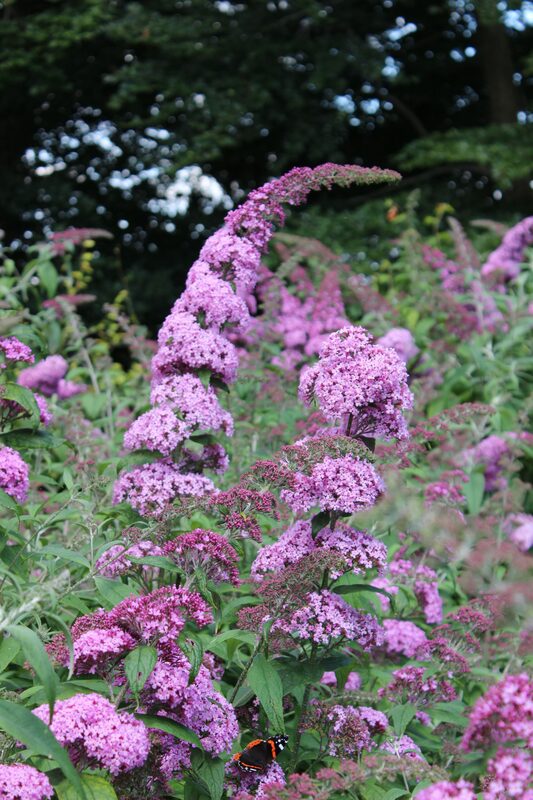 Received the Royal Horticultural Society Award of Garden Merit in 1993, reconfirmed 2010.